Are you looking at fashion trends and wishing to have them on while confidently walking on the street? Is hair the reason you have to refrain yourself from getting them? At Lose It With Laser, we provide trusted and professional laser hair removal Doncaster services. With convenient local location, up-to-day technologies used by well-trained clinicians, your worry will be gone in no time. It’s time to goodbye to embarrassing excessive hair and show your confidence with the silky-smooth skin. You can now say goodbye to painful waxing procedures and the rushing with daily razors. In the 21st century, they are definitely things of the past. Our clinic is proven to provide the newest and most effective laser hair removal Doncaster services. Therefore, if you have tanned or darker skin color or any types of skins that are said to be unsuitable for laser hair removal, we are your solution! We offer new SHR (Super Hair Removal) technology and FDA-approved medical grade diode laser that is essentially painless. Our technologies and skills are for all skin types. It’s time to give yourself the confidence that you deserve. Treatments can be tailored to eradicate hair from all areas of the face and body and the sessions are quick and relatively painless. We have a professional team including registered, formally qualified and para-medically trained clinicians. You can now relax and leave everything to us with our professional laser hair removal Doncaster procedure. Even though laser technique is fast, it can only treat your hair during the ‘growth’ phase. Hence, a number of sessions need to be completed at specified intervals to ensure silky-smooth results. However, the procedures are varied depending on different body parts and types. As a result, we suggest a professional personalized consultation with us to give you the best solution. A guarantee of quality: Fast, painless procedures and a peace of mind. Professional team: Our certified and skillful therapists are always ready for your services. 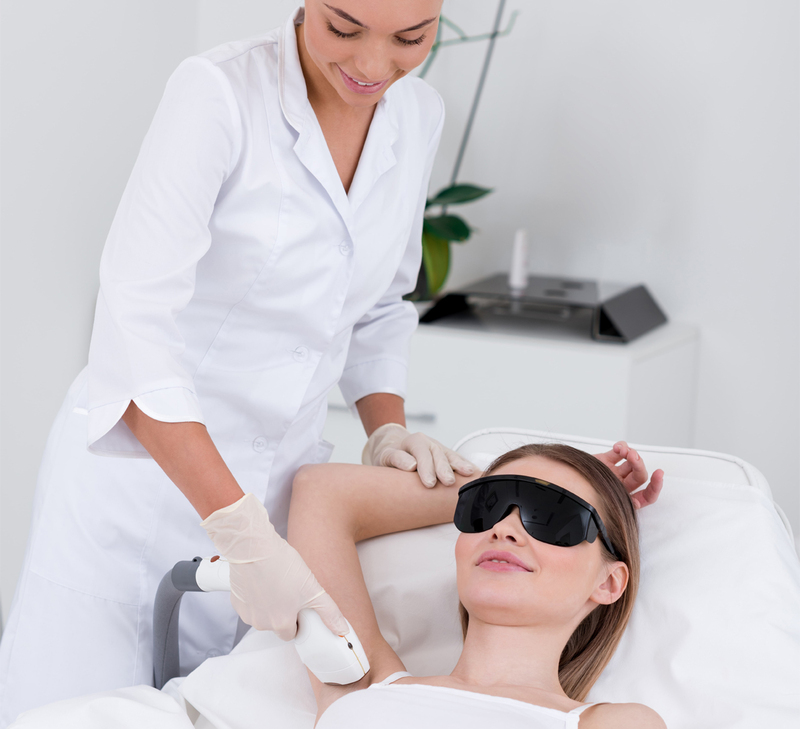 Free comprehensive consultation: answer all your questions and to check that there are no contra-indications for laser hair removal, such as taking medications that cause photosensitivity. No downtime: You can immediately return to work and resume to normal activities after the appointment. Everything is customized: We understand Before and After Care are as much important as the laser hair removal procedure itself. Have a look at another article from our clinic to find out more about our services. Ring us and book a free patch test today! Or simply send us an inquiry via our friendly form.